Good work - you've picked a destination of unparalleled awesomeness. Anyone who's travelled New Zealand will tell you, it's truly epic, and good things await you here. 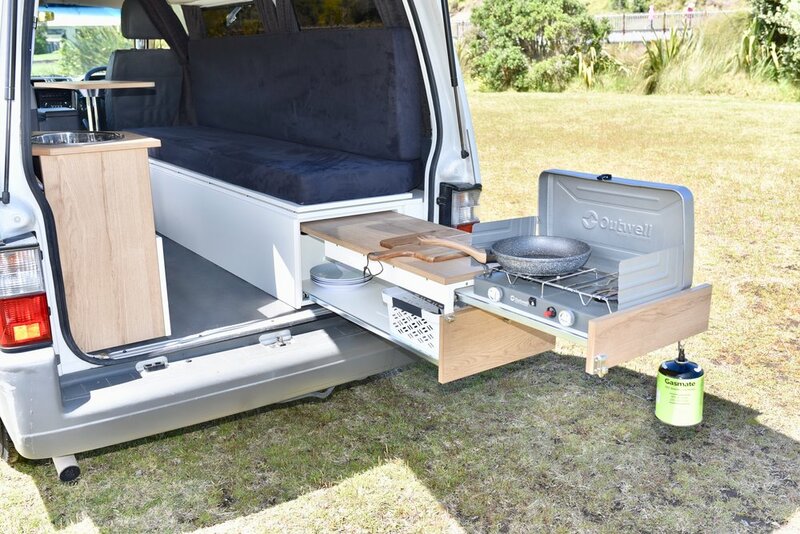 We believe there is no better way to experience this country than by self-contained campervan, which is why we've put our heart and soul into providing modern, top-quality campervan rentals at a price the big hire companies can't match. We hope to meet you soon. Our fleet of Epic Campers are all the same: Modern, well-designed and certified self-contained, giving you maximum freedom, comfort and bang for buck on your travels. New Zealand is known as a nation full of independent small businesses - and we're one of them. Founded by Andy (a tech entrepreneur from Devon, UK, with a penchant for campervans) and partner in all things Cindy (an Aucklander with a lust for travel), Epic Campers was set in motion after we swapped the London rat race for Auckland in 2015 and bought a campervan to explore our new home before starting jobs. After renting out our camper AirBnB style, and spotting the big expensive vans of the best motorhome hire companies (and mostly underwhelming offerings of the affordable ones) we decided to take things from side-business to full-time gig after Andy's role came to an end in early 2018. We're passionate about providing the best campervan experience at the best price by innovating, working smart and using technology to keep our overheads low. We're excited for our journey ahead and equally so for yours too in this truly Epic country we're proud to call home. Don't hesitate to get in touch if you have questions - we hope to see you soon!